Trying to follow a healthy, balanced diet can be quite challenging. It is hard enough to be able to meet your seven daily servings of vegetables, let alone the rest of the other food groups. You need to take the time to carefully plan meals to meet these recommendations. However, the challenges come when your doctor or dietitian reports a deficiency in a certain nutrient. For instance, your doctor might recommend that you increase your intake of magnesium. However, why would something you need in such small amounts make such a huge difference? And how can you make sure to meet those needs? Magnesium has demonstrated many essential health benefits including reducing blood pressure, reducing inflammation, and improving metabolic functions. Magnesium is one of the top minerals found in your body and plays a role in over 300 bodily reactions, including those related to the production of energy and other metabolic pathways. It plays a role in creating DNA and RNA and it is an important part of the cells’ growth and structure. Magnesium is also an important part of growth and maintenance of your bones. It is necessary for proper nerve and muscle functioning. 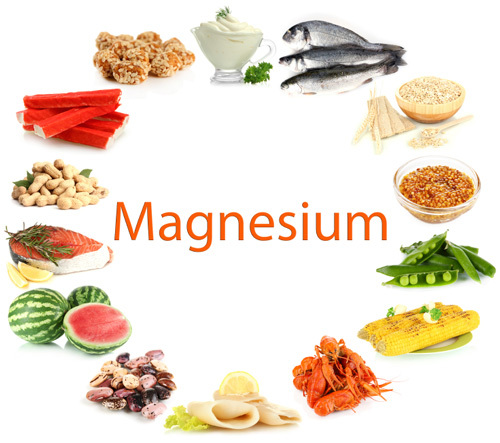 Further, magnesium also plays a role in neutralizing stomach acid and improving constipation. Almost 70% of the adult population fail to meet the daily recommended intakes of 420 milligrams for men or 320 milligrams for women over 30-years of age. More so, about 20% of the population is not even consuming half of the recommended requirements. By falling short of reaching your recommendations, you may be putting yourself at an increased risk of heart disease and type 2 diabetes. Several studies have found that by incorporating magnesium-rich foods into your diet, you can reduce your risk of heart disease. One review study published in the American Journal of Clinical Nutrition found that increased levels of magnesium circulating in the blood was associated with a 30% reduced risk of overall heart disease. However, when evaluating risk specifically for ischemic heart disease, higher levels of circulating magnesium did not significantly reduce the risk. Ischemic heart disease, also known as coronary heart disease, is when oxygen is blocked from reaching the heart, likely as a result of a blockage or atherosclerosis. When researchers evaluated the risk of death as a result of ischemic heart disease, they discovered that higher levels of magnesium circulating in the blood were associated with a reduced risk of ischemic heart disease. Researchers also evaluated the effects of increasing one’s intake of dietary magnesium. Circulating levels of magnesium can be a result of dietary intake, your body’s ability to efficiently absorb through the gut, and your kidneys ability to retain magnesium and prevent urinary excretion. Findings revealed that increased dietary magnesium intake was associated with a 22% reduced risk of heart disease. There was a 27% reduced risk of death resulting from ischemic heart disease for those who consumed up to 250 milligrams of magnesium per day compared to those who consumed lower intakes. Another review by the same research team found that those with the highest intakes of magnesium had a 15% reduced risk of heart disease compared to those with the lowest intakes. When evaluating the circulating levels of magnesium, those with the highest concentrations of magnesium had a 20% reduced risk of heart disease and associated events compared to those with the lowest concentrations. Findings revealed that the greatest impact was among those consuming between 150 and 400 milligrams of magnesium per day. Greater intakes did not result in further improvements. Thus, studies have demonstrated that an adequate intake of magnesium and circulating levels of magnesium have a beneficial effect in reducing risk of heart disease. Higher levels of magnesium are shown to reduce levels of the C-reactive protein, a protein marker of acute internal inflammation. Low levels of magnesium are associated with increased inflammation, which can reduce insulin sensitivity and therefore reduce the release of insulin. This whole mechanism demonstrates the connection and role magnesium plays and how it affects type 2 diabetes. Some studies have demonstrated that among individuals with a magnesium deficiency, supplementing may lead to improved functioning of the beta cells of the pancreas, the cells responsible for releasing insulin. Therefore, for those with reduced levels of magnesium, they may have an impaired ability to release insulin, which may lead to the development of type 2 diabetes. Increasing your intake of magnesium can reduce your risk of developing type 2 diabetes as a result. It’s beneficial for reducing inflammation, oxidative stress and improving insulin sensitivity. However, a few studies have shown that increased intakes of magnesium may not have any effect in reducing one’s risk of developing diabetes. This can be explained due to inadequate intake of magnesium or an individual’s predisposition to diabetes; so for these people, incorporating higher levels of magnesium may not have a significant effect on modifying their health status. The effects of magnesium may only demonstrate beneficial effects for those already deficient. Since almost 90% of studies have demonstrated beneficial effects magnesium intake has on improving glucose metabolism and reducing the risk of developing type 2 diabetes, it is recommended that people incorporate magnesium-rich foods into their diets, especially among people who are at a high risk of the disease. When it comes to magnesium-rich foods, think of food sources that contain fiber. Foods such as whole grains, nuts (especially almonds), seeds, beans, legumes, cereals, and vegetables (especially broccoli and leafy greens) are the best sources. Magnesium can also be found in some meats, fish (salmon and halibut), and dairy (milk and yogurt). All you need to do is ensure that you are incorporating a healthy balanced diet that includes all of the different food groups and you will be sure to meet your magnesium needs. Toast the almonds in a dry skillet on medium heat, stirring frequently until they’re golden, about three minutes. Cook the pasta according to the directions on the package. Three minutes before the pasta is ready, add the broccoli to the pasta pot. One minute before it’s ready, add the snow peas and red peppers to the pot. While the pasta is cooking, make the sauce. Place the almond butter, soy sauce, lime juice, brown sugar, chili garlic sauce, and three tablespoons of boiling water from the pasta pot into a large bowl, and whisk until smooth. Calories: 410; Total fat: 16 grams; Saturated fat: 1.5 grams; Cholesterol: 85 milligrams; Sodium: 460 milligrams; Total carbohydrates: 60 grams; Dietary fiber: 17 grams; Protein: 15 g; Serves: 6. Del Gobbo, L.C., et al., “Circulating and dietary magnesium and risk of cardiovascular disease: a systematic review and meta-analysis of prospective studies,” American Journal of Clinical Nutrition, 2013; 98:160-173. Derom, M-L., et al., “Magnesium and depression: a systematic review,” Nutritional Neuroscience, 2013; 16(5):191-206. Krieger, E., “Asian noodle bowl with spicy almond sauce,” Today’s Dietitian, 2014; 16(2):20. Qu, X., et al., “Magnesium and the risk of cardiovascular events: A meta-analysis of prospective cohort studies,” PLOS ONE, 2013; 8(3):1-13. Rodriguez-Moran, M., et al., “The role of magnesium in type 2 diabetes: A brief based-clinical review,” Magnesium Research, 2011; 24(4):156-162.